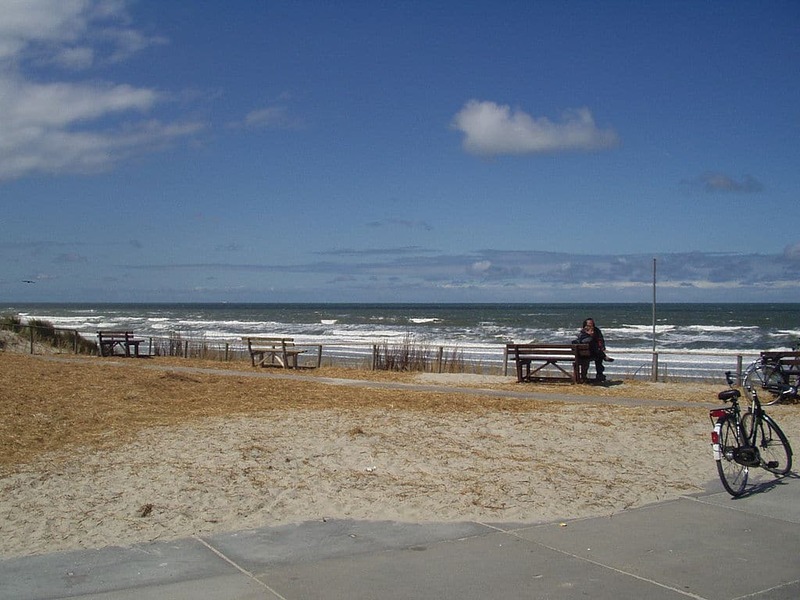 Ameland is both a municipality and a West Frisian Island. Located in on the northern coast of the Netherlands, this quaint island boasts a population of just 3,565. Ameland sits between Terschelling in the West and Schiermonnikoog in the East. 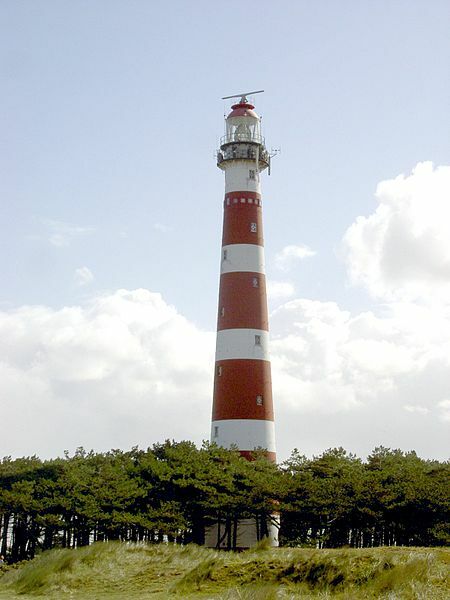 Buren – Buren is located in the center of the island and is home to Ameland beach. Nes – Nes is the second largest village on the island and attracts many tourists each year. Ballum – Ballum is the smallest village and is also the home of Ameland Airport. Hollum – Hollum is the most populated village and is also where Ameland’s famous lighthouse is located. Two other villages existed at one time, but were lost to the sea. The ferries MS Sier and MS Oerd are named after the two lost villages. Ameland was first mentioned during the 8th century and was referred to as “Ambla.” Until 1424, Ameland paid tribute to Holland County. Lord Ritske Jelmera declared the island a “free lordship” in 1424. It remained a free lordship, despite being contested by the Holy Roman Emperor, Friesland and Holland, until 1708 when the ruling family died out. Once the ruling family died out, Johan Willem Friso of Orange-Nassau took over as the lord of Ameland. William IV and William V of Orange would succeed him. It wasn’t until the constitution of 1813 that Ameland officially became a part of the Netherlands. 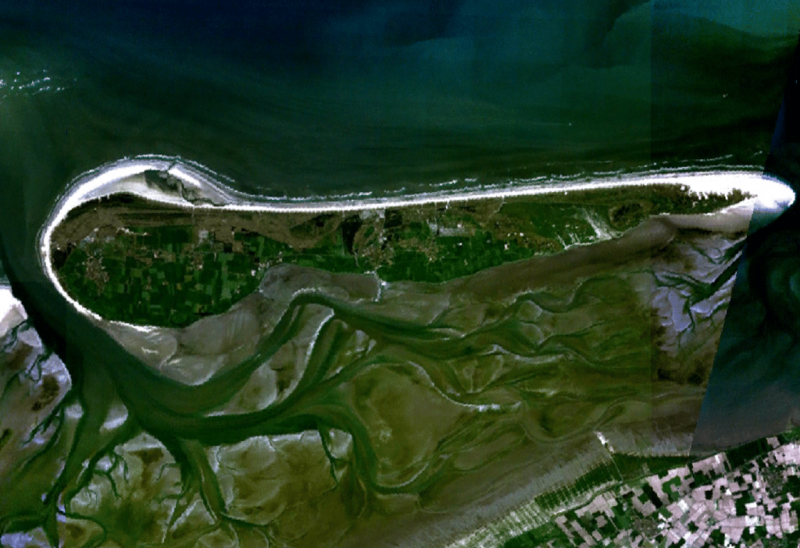 In the late 1800s, a dike was built between the Netherlands and Ameland to reclaim Frisian land from the sea. This dike extended for 8.7km from Holwerd to Bueren. Both the Dutch realm and the province paid 200,000 guilders, but the venture was unsuccessful. Unfortunately, the dike was not durable enough to withstand the heavy winter storms of 1882. During World War II, German troops ferried into Ameland and took control over the island in just a few hours. The Allied troops never invaded the island, but the German troops did not surrender until June of 1945. Their surrender took place nearly a month after Nazi Germany had been defeated. Ameland consists mostly of sand dunes. The island is home to a variety of different plants, which creates a beautifully diverse landscape. The Oerd dunes is one of the most scenic areas of the island, and they continue to expand each year. Thanks to its diversified landscape, there are more than 60 different species of birds and a variety of flora in this area. One of Ameland’s main attractions is its lighthouse. Visitors can climb all 240 steps to the top of the lighthouse and enjoy a spectacular view from the balcony. On your trek to the top, there are several exhibitions that you can explore. The lighthouse is open until 9PM during certain parts of the year. In the village of Hollum, there are two museums: Abraham Fock rescue museum and Sorgdrager museum. Sorgrager is primarily a cultural museum that features a wide range of different exhibitions. Abraham Fock rescue museum educates visitors on the history of the Royal Netherlands Rescue Society. Each month, the museum uses horses to launch a lifeboat. This was the method used for real rescues up until 1988. Nes also has a museum that explores the history of Ameland as well as its diverse landscape and animal life. Ameland is home to many excellent shops, restaurants and cafes. On the western part of the island (in Hollum), there is a Mexican restaurant known as Cantina Dolores. Ameland is also known for its delicious farm cheese, rye bread, catfish and mustard. While you’re on the island, make sure that you try Nobeltje before you leave. Nobeltje is a rum liqueur sold in Ballum. Enjoy it in your coffee, served over ice or try it on top of your pancakes. Although Nobeltje can be found in other areas, it’s mainly sold in Ameland. Explore the Commander’s homes, which are the oldest buildings on the island. There are two different ways to enter the island: Ferry and airplane. Ameland Airport is located near Ballum. This is a small airport and no international flights are allowed (except those from other Schengen countries). Ameland Airport is closed during the winter between October 1 and March 31. There is a ferry service that runs from Holwerd in Friesland. During peak season, ferries depart every hour and arrive in Nes. Once you’re on the island, you can take advantage of the three bus lines available. One of these lines only operates during peak season, but the other two will take you to all four villages any time of year. All of the bus lines are operated by Arriva. Of course, you can also choose to rent a bike and explore the island’s villages in a more personal way. Known as the “diamond” of the Dutch Wadden, Ameland beach is a popular spot for sports and activities. In fact, the beach hosts a yearly Rugby Festival that attracts ruby fans from all over Europe. Bird watching is also popular with visitors as the area is home to more than 60 different species of birds. Ameland is easily accessible by ferry and also has its own airport, which stays open from April until October. This small island is approximately 106 miles, but there are plenty of fun things to see and do during your stay. In June of every year, Ameland beach hosts a 3-day ruby tournament. This is the largest beach rugby tournament in the world. The excitement of the event makes for a lively atmosphere with plenty of opportunities to socialize and have a good time. They also organize group outings and team building activities. If you are planning a corporate outing, Ameland Beach may just be the ideal venue. In June, Ameland beach also hosts the Beach Volleyball Circuit event. Teams of 2, 3 and 4 compete and players from every level are welcome to participate. This two-day event concludes with an evening party and BBQ for VIP guests. Part of what makes Ameland so attractive is its unique landscape. The area is home to many different species of birds and is a beautiful place to photograph. The area’s large series of dunes is also worth a visit and they continue to expand each year. The Nesser bos (Wood of Nes) is also nearby and is a small, wooded area. Horseback riding is also popular at Ameland beach. If you are planning a trip with your significant other, this can be a romantic way to spend the afternoon. A number of beach pavilions can be found in Ameland where visitors can grab a bite to eat or something to drink. There are many tours that can also be booked to explore the area by boat, by air or by a covered horse wagon. Biking is a fun way to experience Ameland beach. The Beach Express Ameland can transport you along the beach in a comfortable bus. Flat wagon and tractor rides are also available.